With increased access to high speed internet, the use of video on your website has become a great way to deliver content to your site visitors. In an age where anyone can upload a video to the likes of YouTube (or a myriad of other video streaming services) how does your business make the right technical and strategic decisions when it comes to hosting and delivering your video content? What are the video hosting options I should consider? There are two main decisions when selecting a video platform, with a ton of customisation options, parameters and services. You can host the video on your website’s own servers and have your web developer, or content management system (CMS) be responsible for showing the video in your website content. This gives you complete control of the video, how it looks and from where it is delivered. Alternatively you could opt to upload your video into YouTube, Vimeo or other third party video service and “embed” the video into your content via their site. For the rest of this article I’ll refer to YouTube, but this will include Vimeo and other video hosting sites. Should I use YouTube for my business website? You are not responsible for the bandwidth or hosting used for someone to watch the video. Videos are generally large files and if hosted on your own website server mean you are paying for storing that large file and for the data transfer that occurs every time a user clicks play. This can get expensive very quickly. You only have to encode/deliver one version of the video. Unbeknownst to website visitors they are delivered different versions of the video based on the browser they are using, the device it’s running on and their internet speed. Hosting a video yourself means that you would have to convert and encode each version of the video to be delivered. 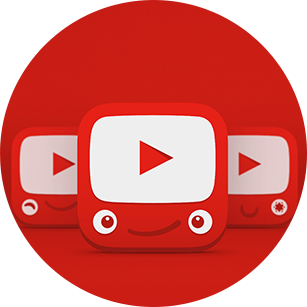 Part of youTube’s upload process automatically converts and encodes the video to all required versions and optimises them for web streaming without you having to do anything. Your video is available for sharing. youTube as a platform not only advertises your newly posted video on its platform to gain more viewers but it is ridiculously simple for people to share the video with their friends on their own sites/blogs or social networks opening up new audiences for your content. So youTube clearly has some advantages, so why wouldn’t you use it? Before we look at some scenarios where there may be better solutions lets take a look at some falsehoods where youTube is often misunderstood or used incorrectly. Is YouTube really that great? Are there any disadvantages to using it? There are some myths about loading your videos via YouTube. I’ve busted some of them here. I don’t want advertising in my videos. The advertisements that appear at the beginning of videos in youTube are requested for by the video owner, so as long as this is you they can be set to not display. I have my own pre/post roll advertising in (or to add to) my videos. This actually comes down to your ad server software or embedded player, some are able to display videos before and after youTube videos such as JWPlayer. I don’t want recommendations to appear at the end of my video. Recommendations can lead people away from your site, luckily they can be turned off when you are embedding your video. Here are some details on how to do it. My video content is private. Although shareability of your videos is a strong plus for youTube some video content is not meant to be publicly available. youTube provides 2 solutions for this. Firstly you can hide your content from the youTube website and make it only available to people who know the URL. This still allows you to embed the video into your site but won’t let people find it when searching Google/youTube. A second option is to only allow people you invite to view the video. This means you can no longer embed the video but it does give the strongest guarantee that your video won’t be viewed by anyone you don’t want it to. I don’t like the look of (or don’t want to show) youTube branding. youTube does offer a few customisation options for it’s player but you are basically stuck with it if you use the default embed/share features on their site. If you choose to use a third party video player on your website however you can make it look like anything you want. Here is a basic example. Are there times when YouTube is not the right solution for your business website? Recently we were developing a website for the Telethon Kids Institute, and we had to deliver video content to schools. Most schools block video content from YouTube, so we decided that a self-hosted video solution and video player was the right answer for this client. Another project required videos to be behind a paywall. That is, the client had to pay a fee for access to the video content. Due to the way YouTube privatises videos, it is not able to offer a solution to reliably force users to pay for access to videos. For this option, we looked at other solutions such as DaCast and BrightCove. Other video in website queries? Harmonic New Media’s web developers can choose the right solution for your website. For more details or to contact us, go to our contact page. Good question. And we have a heap of good reasons. Enough talk about our process. Tell us about your project and we’ll tell you how we’ll do it.